The most popular method of making oolong tea in Taiwan is Gong Fu Style. This style uses a small earthen teapot. The tea is placed in tiny cups and the tea leaves can be re-used several times. Recommended water to use in making oolong tea is springwater. If that isn’t possible, allowing the chlorine to escape before making the tea will improve the taste. This can be done by letting the water stand without cover for 24 hours. The tap water may also be boiled for at least 5 minutes but this might make the tea flat-tasting. Instead of measuring the water’s temperature, it is recommended that the water be removed from the heat just as it is starting to bubble. thongs to remove used oolong tea leaves from the teapot. 1) When the water is of the right temperature, a little of the hot water is used to wash the teapot and also the cups. About ¼ or 1/3 of the pot is then filled with the Oolong tea. A scoop is used to put the oolong tea leaves inside the pot. 2) Hot water is poured into the teapot halfway to its capacity. This infusion is not to be consumed yet – the tea leaves are first awakened so that they will unfurl. This step also removes possible dust from the leaves. 3) The water in the teapot is swirled for about 10 secondsto allow the leaves to soak evenly into the water afterwhich it is poured into the pitcher. The pot is re-filled immediately. This is the first infusion that can be drank. 4) While the tea steeps, the cups are filled with the liquid from the pitcher . The pitcher is doused with the water so that steam is emitted from the hole. 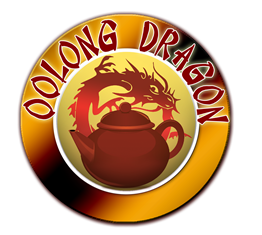 5) The first steeping is short –it should be no more than30 to 50 seconds, and will depend on the kind and grade of the oolong. 6) The oolong is strained into the pitcher and then poured into the cups which are arranged together to allow pouring in a circular sequence. This is done so that the same quality of tea is filled into every cup. 7) The cups could be wet due to spills on the tray so briefly rest them on the towelbefore serving them. 8) After pouring out the tea, the teapot is re-filled immediately with hot water as it is good for another brew. Every brewing can take a bit longer. 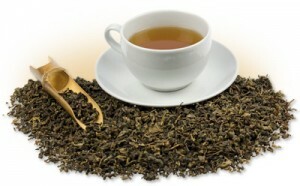 If the tea is of good quality, it can be re-used five to eight times before losing its flavor.